Payment Protection Scotland (PPS) provides confidential PPI advice to people across Scotland. If you have taken out a loan, credit card or mortgage in the last 10 years, you may have been mis-sold payment protention insurance. 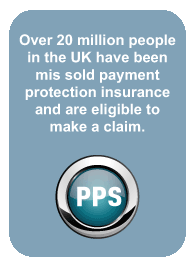 Contact Payment Protection Scotland today for impatial advice on Payment Protection Insurance.